Your first instinct is to pick up your phone and start Googling, which will inevitability lead you to believe that you are knocking on death’s door. The lumps and bumps found in your breasts over time can be many different things. It’s not always necessarily a tumor leading you down a path of worry. Before you fly into a panic, read what dermatologists and OB-GYNs had to say about those lumps and bumps. Some lumps and bumps found on your body — not necessarily just on your breast — could be the result of genetics, says Dr. Samantha Toerge, a dermatologist. At her Bethesda, Maryland, practice, she often sees families that all develop seborrheic keratoses (warty growths that sit on top of the skin), lipomas (collections of fat tissue) and cysts (balloonlike structures under the surface of the skin). These are all benign growths that typically appear on your back and scalp and do not necessarily need to be examined immediately. A melanoma, when it is caught early, is usually a flat, dark lesion. Thicker, more aggressive melanomas can present as lumps and the earlier they are caught, the better. Basal cell carcinomas usually present as non-healing erosions on sun-exposed skin. Squamous cell carcinomas usually are red, scaly painful bumps — not all skin cancers present as lumps. More rarely, Toerge sees internal cancers metastasize to the skin or deeper more rare primary tumors. The rules of thumb for lumps found on your breast are a little different. 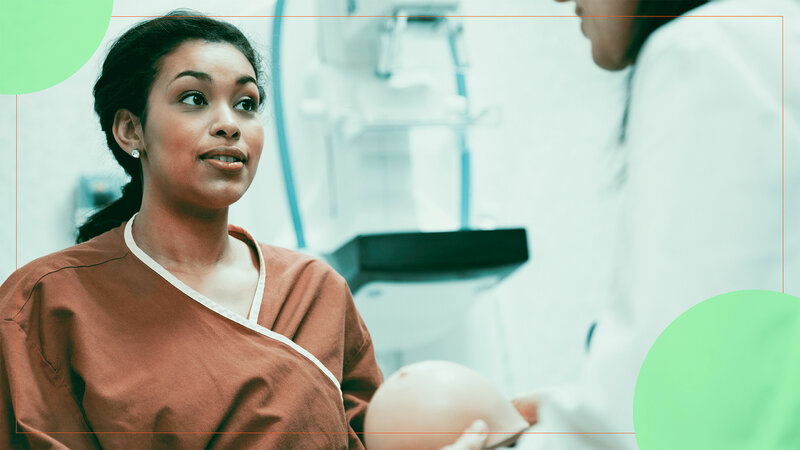 Dr. Raquel Dardik, clinical associate professor in the department of obstetrics and gynecology at NYU Langone Health suggests that if a lump is found on your breast and it has not gone away within a week or two, it needs to be evaluated by a health care professional. Lumps found on the breast aren’t necessarily always a tumor; hormone fluctuations can cause the development of a breast cyst. Dr. Sherry Ross, an OB-GYN at Providence Saint John’s Health Center in Santa Monica, California, explains that fibrocystic or dense cystic breasts are classically lumpy, round or oval and tender, occurring in one or both breasts. This common benign disease of the breast affects 60 percent of women and is caused by normal breast cysts. The most common benign breast cyst is a fibroadenoma. This solid breast cyst occurs in younger women between 15 and 35. Most fibroadenomas can be followed yearly without any surgical intervention. Other benign breast cysts are filled with cystic fluid that can change during your menstrual period, getting larger before your period and going away when it’s over. While benign breast cysts are not hereditary, dense breasts make women more prone to cystic breasts. Ross explains that because caffeine and nicotine are known contributors, limiting the stimulants you ingest daily can affect the size and tenderness of benign breast cysts. Another culprit could be your birth control. If you’re finding that you are developing breast cysts, you might want to talk to your physician about changing up your birth control. 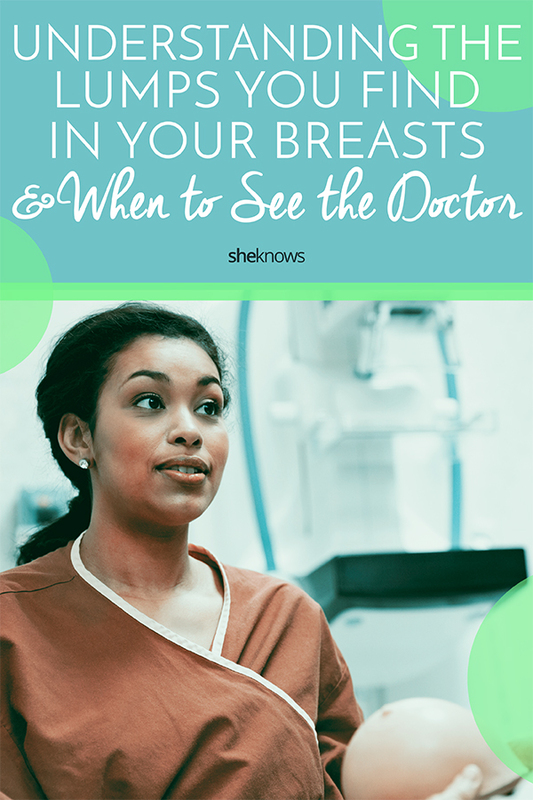 The bottom line: We are lumpy, bumpy people, and that’s OK — as long as you remain vigilant about checking your body and not waiting to visit your physician if you have a persisting lump that is changing size, shape, color or just simply isn’t going away. Always better to err on the side of caution, even if it means an afternoon in the waiting room.